Your eyes are your window to the world. Sometimes even a bit of irritation in the eyes can worsen and cause damage if not taken care of. It is very important to take care of your eyes and the internet is full of ideas to keep them healthy and safe. Indian Healthguru Consultants is a medical value provider in India offering quick services from the best eye specialists in India at the most affordable prices. Basic care: Indian Healthguru helps in arrangement of medical visa, to and fro airport service, accommodation, meals, appointment with surgeon, lab tests etc. Skilled panel: Indian Healthguru has network of the best surgeons and hospitals, providing supreme healthcare in India. Affordable: What is LASIK eye surgery cost in India? The expenses incurred in the entire travel for the LASIK eye surgery are nearly 30% of that in most Western countries. I am Ms Dike from Nigeria. My mother was having eye problems and we needed the best care to treat her. Unavailability of the same made us look for options outside that were low cost. While searching, we came across Indian Healthguru offering the required treatment matching our budget requirement. I emailed him my mother’s report and after working through the procedure, we came to Mumbai, India. My mother received very good treatment at an affluent hospital and is recuperating really fast. We went for sight-seeing Mumbai and returned home happy. I thank Dr Dheeraj Bojwani and his team for their help. The human eye is a complex mechanism in many ways similar to a camera. Just as the camera records images on a film, the eye records them on a special layer called the retina. Just like the camera needs lenses to focus images on the film, the eye also has lenses to focus images on the retina. The eye has two lenses: the cornea and the “lens”. The cornea is a fixed focus lens. It simply bends light rays by a fixed amount. The lens is like an auto focus system. It changes its shape to focus images perfectly on the retina, so that images appear sharp and crisp. Sometimes when there is a mismatch between in these natural setups, it might require a treatment or an eye surgery. Eye surgery, also known as Orogolomistician surgery or ocular surgery, is surgery performed on the eye or its adnexa, typically by an ophthalmologist. Eyes are one of the most important organs in the human body and vision is one of the most wonderful gifts. But often many people neglect the importance of eye care and do not pay proper attention towards eye care then comes the eye treatment or surgery in picture. 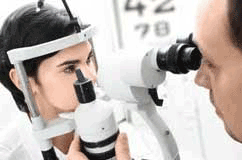 What are Eye Medical Conditions? What are the Types of Eye Surgery? 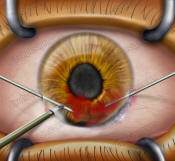 What are Common Eye Surgery Procedures? Refractive Surgery: It includes any procedure designed to treat the refractive errors myopia (nearsightedness), Hyperopia (farsightedness), and astigmatism. There are a number of refractive surgery treatments currently on the market; however, the techniques employed can vary greatly. Or in other words it is any eye surgery used to improve the refractive state of the eye and decrease or eliminate dependency on glasses or contact lenses. This can include various methods of surgical remodeling of the cornea or cataract surgery. The most common methods today use Excimer lasers to reshape curvature of the cornea. Successful refractive eye surgery can reduce or cure common vision disorders such as myopia, Hyperopia and astigmatism. There are two basic types of corrective refractive surgery. One changes the curvature of the cornea (outer surface of the eye). The other changes the internal optics of the eye, either by replacing the natural lens of the eye or by using an intraocular lens in addition to the natural lens. Catarct surgery is the removal of the natural lens of the eye (also called "crystalline lens") that has developed an opacification, which is referred to as a cataract. Metabolic changes of the crystalline lens fibers over time lead to the development of the cataract and loss of transparency, causing impairment or loss of vision. Many patients' first symptoms are strong glare from lights and small light sources at night, along with reduced acuity at low light levels. During cataract surgery, a patient's cloudy natural lens is removed and replaced with a synthetic lens to restore the lens's transparency. Following surgical removal of the natural lens, an artificial intraocular lens implant is inserted (eye surgeons say that the lens is "implanted"). Cataract surgery is generally performed by an ophthalmologist (eye surgeon) in an ambulatory (rather than inpatient) setting, in a surgical center or hospital, using local anesthesia (either topical, peribulbar, or retrobulbar), usually causing little or no discomfort to the patient. Well over 90% of operations are successful in restoring useful vision, with a low complication rate. Day care, high volume, minimally invasive, small incision phacoemulsification with quick post-op recovery has become the standard of care in cataract surgery all over the world. Glaucoma Surgery: Glaucoma is a group of diseases affecting the optic nerve that results in vision loss and is frequently characterized by raised intraocular pressure (IOP). There are many glaucoma surgeries, and variations or combinations of those surgeries, that facilitate the escape of excess aqueous humor from the eye to lower intraocular pressure, and a few that lower IOP by decreasing the production of aqueous. The type of surgery your doctor recommends will depend on the type and severity of your glaucoma and the general health of your eye. 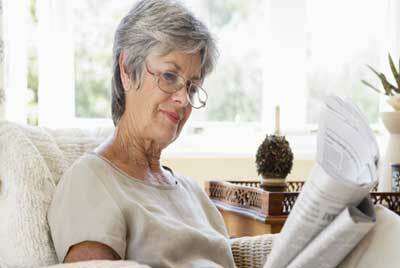 Surgery can help lower pressure when medication is not sufficient, however it cannot reverse vision loss. Glaucoma cannot be prevented, but blindness due to glaucoma can be avoided, if detected early and treated properly and regularly. Both laser and conventional surgeries are performed to treat glaucoma. Surgery is the primary therapy for those with congenital glaucoma. Generally, these operations are a temporary solution, as there is not yet a cure for glaucoma. Corneal Transplant: is used when vision is lost because the cornea has been damaged by disease or traumatic injury, and there are no other viable options. Some of the conditions that might require corneal transplant include the bulging outward of the cornea (keratoconus), a malfunction of the cornea's inner layer (Fuchs' dystrophy), and painful corneal swelling (pseudophakic bullous keratopathy). 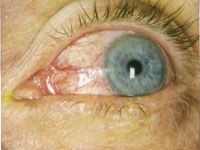 Other conditions that might make a corneal transplant necessary are tissue growth on the cornea (pterygium) and Stevens-Johnson syndrome, a skin disorder that can affect the eyes. Some of these conditions cause cloudiness of the cornea; others alter its natural curvature, which also can reduce vision quality. Injury to the cornea can occur because of chemical burns, mechanical trauma, or infection by viruses, bacteria, fungi, or protozoa. The herpes virus produces one of the more common infections leading to corneal transplant. Corneal transplants are used only when damage to the cornea is too severe to be treated with corrective lenses. Occasionally, corneal transplant is combined with other eye surgery such as cataract surgery to solve multiple eye problems with one procedure. Vitreo-retinal Surgery: Vitreo-retinal surgery does not refer to one specific type of surgery. It refers to any surgical procedure that treats eye problems involving the retina, macula, and vitreous fluid. These vision disorders include macular degeneration, retinal detachment, and diabetic retinopathy. The retina is a tissue in the inner eye. It converts images that one sees into electric impulses that the brain can interpret. The macula is part of the retina that helps process central vision. Vitreous fluid fills the eyeball and helps it maintain its shape. Vitreoretinal surgery can treat a detached retina, which happens due to a retinal tear. Symptoms of retinal detachment may include flashes of light and spots that obstruct vision. Retinal detachment can occur due to an injury. It may also occur when the vitreous fluid pulls on the retina. For a Vitreo-retinal, the patient may be placed under general anesthesia. Vasectomies typically are highly successful in restoring or greatly improving a patient’s vision. Laser surgery: Laser surgery is surgery using a laser to cut tissue instead of a scalpel. Examples include the use of a laser scalpel in otherwise conventional surgery, and soft tissue laser surgery, in which the laser beam vaporizes soft tissue with high water content. Laser resurfacing is a technique in which molecular bonds of a material are dissolved by a laser. Laser surgery is commonly used on the eye. Techniques used include LASIK, which is used to correct near- and far-sightedness in vision, and photorefractive keratectomy, a procedure which permanently reshapes the cornea using an Excimer laser to remove a small amount of tissue. Green laser surgery is used for the treatment/reduction of enlarged prostates. Laser surgery is much safer than normal surgery as it makes no physical contact so no infections are spread. Laser surgery is used not only for eye surgery but also in many other streams. Oculoplastic surgery: Oculoplastic surgery is the cosmetic, corrective, and reconstructive surgery of the eye. It manages and repairs problems primarily related to the tissues or structures surrounding the eye, rather than the eyeball itself. These structures include the eyelids, the tear ducts, and the orbit (bony socket surrounding the eye). Ophthalmic plastic surgeons are board-certified ophthalmologists who have completed several years of additional, highly specialized training in plastic surgery. The person who performs oculoplastic surgery is called an oculoplastic surgeon. Oculoplastic surgeons complete the necessary schooling to become ophthalmologists, or medical doctors who treat eye-related conditions, but then go on to receive additional specialty training in plastic surgery. An oculoplastic surgeon is qualified to work on both the eye itself and its surrounding tissues. He focuses, however, on the tissues that surround and support the eyeball. Sometimes oculoplastic surgery is used to repair or correct a condition that affects the area around the eye. For example, a condition called entropion is marked by an eyelid that turns inward. Eye muscle surgery: Eye muscle surgery is performed to weaken, strengthen, or reposition any of the extraocular muscles (small muscles) located on the surface of the eye that move the eyeball in all directions. The main purpose of eye muscle surgery is thus to restore straight eye alignment. The surgery is performed to align both eyes so that they gaze in the same direction and move together as a team; to improve appearance; and to promote the development of binocular vision in a young child. To achieve binocular vision, the eyes must align so that the location of the image on the retina of one eye corresponds to the location of the image on the retina of the other eye. In addition to being used to correct strabismus, eye muscle surgery is also performed to treat such other eye disorders as Nystagmus. Nystagmus is a condition in which one or both eyes move rapidly or oscillate; this condition can be improved by moving the eyes to the position of least oscillation. Our network of top eye hospitals in India are amongst the largest provider of quality eye-care, with the state of the art facilities, modern diagnostic, therapeutic and rehabilitative services of the highest quality in all subspecialities of ophthalmology. Our best eye surgeons in India offer specialized treatments including the LASIK eye surgery at different locations in India such as Delhi, Chennai, Bangalore, Mumbai, Pune, Jaipur, Chandigarh, Kochi, Goa, Ahmedabad, Gurgaon, Nagpur, Noida, Hyderabad, Kerala, etc. Preparing for the Eye Surgery? Take the extra time you need to find a reputable surgeon with extensive experience in your type of surgery. Thoroughly research the procedure you will be undergoing before signing any consent forms. Follow all of the pre-operative procedures recommended by your doctor. Stop wearing contact lenses in advance of the surgery, as directed by your doctor. Get a good night’s sleep the night before the surgery. Make arrangements to have someone you trust drive you home from the surgery. Know what side-effects you may experience before undergoing the procedure. Avoid touching, rubbing, or bumping your eye while it is healing. Avoid makeup, lotions, and creams while your eye is healing. Stay away from medications that can interfere with your body’s natural healing process, such as steroids. Give yourself time to recover from the surgery before jumping back into your busy life. What Post Operative Care to be taken after Eye Surgery? Here are few precautions you need to follow for at least 1 week post-surgery. Try and avoid lifting heavy articles more than 20 pounds. Avoid bending your waist unless you are bending your knees. Avoid laborious physical activities like jogging or aerobics. Excessive neck movements should be avoided. While sleeping remember, that your head should be raised higher than your chest. What is Advance Eye Surgery procedure? LASIK Eye surgery: LASIK stands for laser in situ keratomileusis, which means using a laser underneath a corneal flap (in situ) to reshape the cornea (keratomileusis). This procedure utilizes a highly specialized laser (Excimer laser) designed to treat refractive errors, improve vision, and reduce or eliminate the need for glasses or contact lenses. During the LASIK procedure, a specially trained eye surgeon first creates a precise, thin hinged corneal flap using a microkeratome. 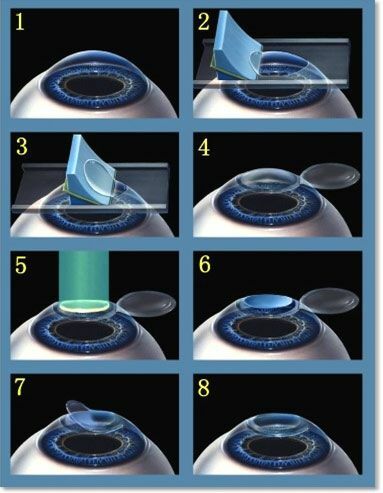 The surgeon then pulls back the flap to expose the underlying corneal tissue, and then the Excimer laser ablates (reshapes) the cornea in a unique pre-specified pattern for each patient. The flap is then gently repositioned onto the underlying cornea without sutures. Owing to the fact that most of the people these days have eye or vision related problems because of their lifestyle and eating habits, eye surgeries have actually become quite a common scenario in this country. However when I had to get my treatment done for the defect in my left eye which hampered my vision to an extent that I couldn’t see through it at all sometimes, I didn’t want to spend much in the treatment. The doctors at Indian Health Guru not ensured that my eye problem was completely resolved through the surgery but also understood my concerns regarding budged and assured me of the nominal charges. Why consider Eye Surgery in India? India offers a growing number of private "centers of excellence" where the quality of care is as good as that of big-city hospitals abroad (for instance in the United States or Europe) and that are capable of delivering world class medical services at a remarkably lower cost. The health care industry estimates that several thousand foreign patients are treated in private hospitals in India each year. Patients can avoid lengthy waiting periods and high costs by choosing India as a destination for their treatment. The various eye surgeries in India are available at hospitals in the following cities with latest amenities and state-of-art-facilities. The compassion shown by the Indian Ophthalmologists along with evidence based and innovative eye surgeries, comprehensive education and research-based prevention of common eye diseases – have earned Indian hospitals the gratitude of patients and their families. What is Cost of Eye Surgery in India? India offers outstanding eye surgical services at 60-80% less than prevailing USA rates. Even with travel expenses taken into account, the comprehensive medical tourism packages still provide a savings measured in the thousands of dollars for major procedures.